How much is Ashley Madekwe Worth? 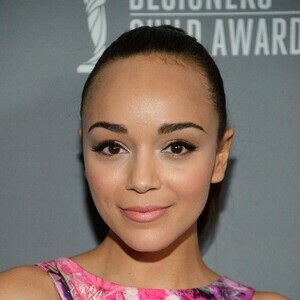 Ashley Madekwe Net Worth: Ashley Madekwe is an English actress who has a net worth of $3 million dollars. Ashley Madekwe was born in London, England in December 1981. She is best known for her role of Ashley Davenport on the TV series Revenge. Madekwe graduated from the Royal Academy of Dramatic Art in London. While in school she appeared in productions of Wuthering Heights and King Henry V. Her first role came in the TV series The Bill in 1999. From 2001 to 2002 she played Bev in the series Teachers. Ashley had recurring roles in the TV shows Drop Dead Gorgeous in 2007, Trexx and Flipside in 2008, and The Beautiful Life: TBL in 2009. From 2008 to 2010 she starred as Bambi in the series Secret Diary of a Call Girl. In 2011 Ashley played Molly Lucas in the series Bedlam. Her best known role came as Ashley Davenport on the ABC series Revenge from 2011 to 2013. In 2014 she was cast in the WGN America series Salem as Tituba. She runs her own fashion blog called Ring My Bell. Ashley married Salem co-star Iddo Goldberg in 2012.